Subfloor damage is typically caused by overexposure to moisture. 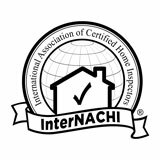 This could be from excessive humidity, a leak in your plumbing or a crack in your home’s exterior. While the thought of replacing it might give you a sinking feeling – literally – knowing when it’s time to replace your subfloor will allow you to head off more serious problems. An OSB subfloor being installed over floor joists. A subfloor acts as a buffer between the joists and the finished flooring. A subfloor is the solid material beneath your floor covering. It is attached to your home’s floor joists and acts as a base for your finished flooring, such as carpet, hardwood, laminate, tile, etc. 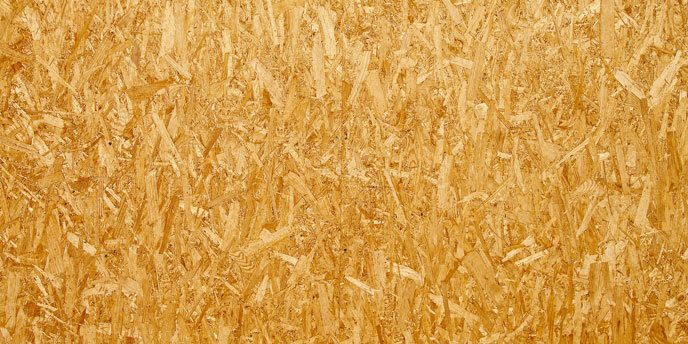 Typically, a subfloor is made of plywood or oriented strand board (OSB) panels. In areas that are below grade, such as a basement, the concrete foundation is often considered the subfloor, though plywood and OSB panels can be installed over concrete using ground-level floor joists called sleepers. Do I Need a Subfloor? It depends. Above grade, hardwood, carpet, laminate and other floor coverings need a plywood or OSB panel subfloor, as they cannot be installed directly to floor joists. Below grade, a plywood or OSB subfloor is optional, depending on your choice of flooring. Floating laminate, engineered hardwood, tile and carpet can be installed directly on a concrete subfloor if the proper moisture barriers are in place. 1. 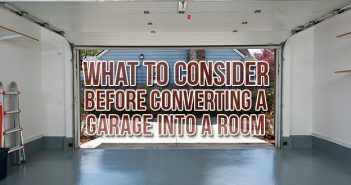 Your floors are uneven or sunken in parts. If you notice a soft spot under carpet or wood flooring, it could mean that the panels below have weakened. 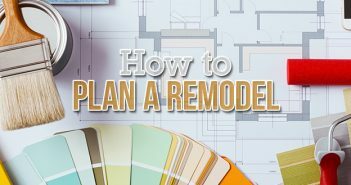 While replacing the entire subfloor may not be necessary, you will have to replace the damaged pieces to prevent the rot from spreading. 2. Your floorboards squeak – loudly. Subfloors squeak when the nails connecting them to the joists are pulled loose. As you walk across the floor, the nails move in and out of the wooden joists, causing the awful, familiar sound of creaky floorboards. If you notice squeaking throughout the entire room, this could be a sign that the material has warped. 3. The room smells musty. The smell of mold or mildew is a surefire sign of water damage, but the tricky part is finding where. If your carpet or wood floor smells musty, you almost certainly are dealing with a water damaged subfloor. What are the most common causes of subfloor damage? 4. Your floors shift or bounce when you walk on them. There’s nothing wrong with having a little spring in your step – unless that springy feeling comes from the floor. If your floors begin to feel spongy, springy or bouncy, or if you notice the floorboards around you shifting when you walk on them, it could mean that it’s time to replace the subfloor. 5. Your toilet is rocking or loose. 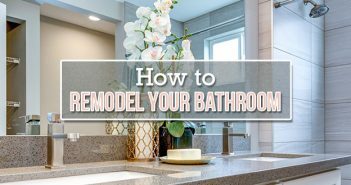 “A toilet moves because the subfloor has become so decayed that it no longer securely anchors the fasteners that hold it to the floor,” says Shepard. Often, the moisture damage is from a slow leak in your toilet’s pipes. Since it will only worsen with time, it’s important to get it fixed ASAP. What are some other areas that are prone to subfloor damage? 6. Your tile flooring has cracked. Because tile is inflexible, it requires a strong, rigid surface beneath it to prevent it from cracking. If you notice cracks in your tile floor, it may mean the subfloor isn’t firm enough to hold it up and will need replacing. Keep in mind that when installing tile over plywood or OSB, there must be a cement backerboard between the tile and the panels. 7. Your hardwood floor is cupping. While it could mean your home’s humidity is too high, hardwood floor cupping could also be a sign that water is warping the materials below. But fear not – you can reverse cupping with the help of professional hardwood drying services, as long as the source of moisture has been addressed. 8. Your linoleum floor is bubbling up. While bubbling linoleum isn’t always a cause for concern, it can be if it’s caused by moisture building up under your flooring. If there are irregularities throughout your linoleum floor, you may need to look a little harder to rule out water damage to your subfloor. 9. Your ceiling is leaking. To be clear, a leaking ceiling is not your subfloor’s fault. But it may be an indication that your home has a slow leak. Since plywood and OSB tend to absorb moisture, by the time water has leaked through the ceiling, it could mean the materials are completely soaked through. In addition to calling the plumber, you may want to call a flooring professional to check for subfloor damage. How Long Does a Subfloor Last? However, if the subfloor is consistently exposed to moisture, you may need to replace it after 20 to 30 years or sooner. Subfloor damage caused by water can be reversed with the help of professional tools, but it’s important to catch the signs of rot early to prevent it from spreading to the rest of your subflooring materials. How Much Does It Cost to Replace a Subfloor? The cost to replace a subfloor can vary based on a number of factors including the quality, type and thickness of your subfloor material, as well as the additional work required (removing and disposing of the old materials, repairing joists or other flooring features, etc.). On average, replacing an entire subfloor in a 300-square-foot room can cost between $450 – $2,000. Note that this does not account for the cost of replacing the finished flooring. Professional subfloor replacements in kitchens and bathrooms may cost more than standard estimates. This is because the contractors may have to move appliances or fixtures to finish the installation. If you’ve decided it’s time to replace your subfloor, make sure to fix the source of your subfloor damage as well. Without addressing the root cause of the damage, you’ll eventually need to replace your entire subfloor all over again. Be sure to check nearby pipes, exterior vents and appliances for leaks, and have a disposal plan for any water-damaged materials you come across. 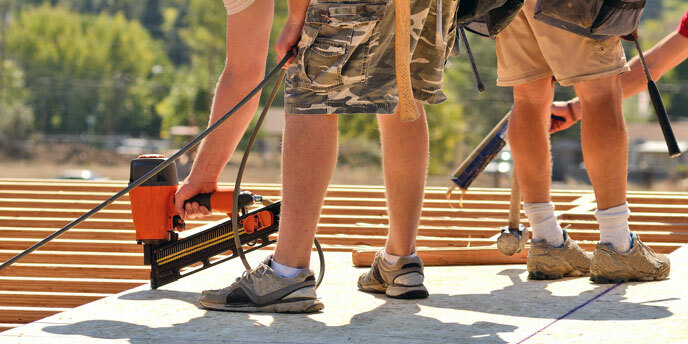 While replacing your subfloor may not be an HGTV-worthy project, it’s an important one to protect your home from further damage, and can save you from even more costly repairs down the line. Plus, it might just be the perfect excuse to install that beautiful hardwood flooring you’ve had your eye on.